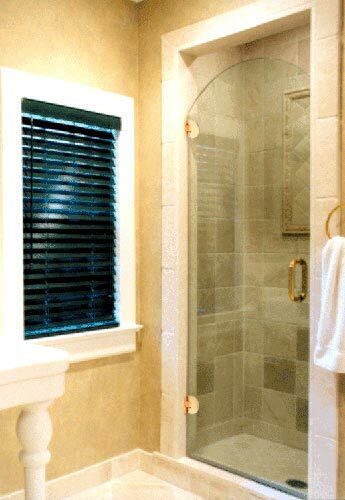 Frameless Doors are custom made to fit almost any size. 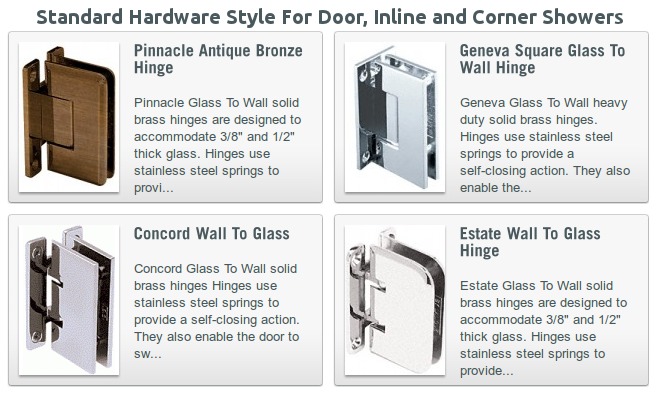 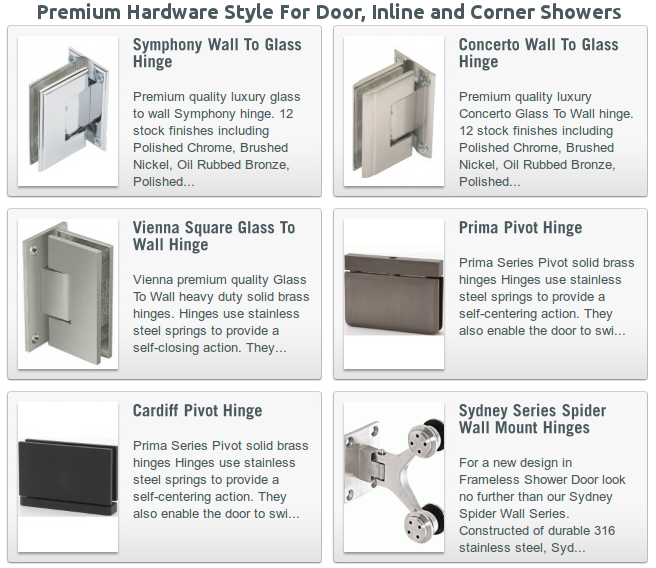 Glass used is tempered for safety and notched and drilled to accommodate hinges and handles in a variety of styles. 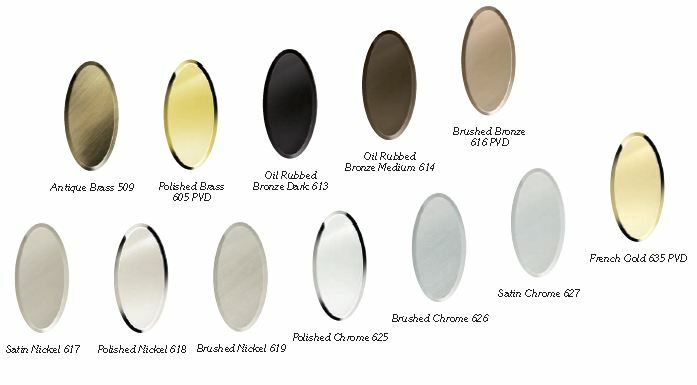 Glass can be cut in curved shaped at top of door for unique look traditional look.